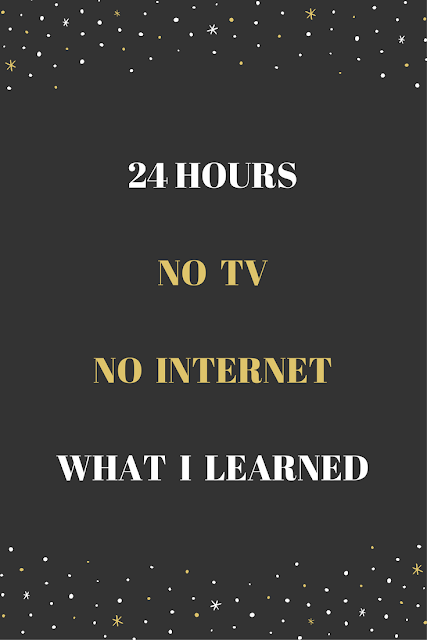 I was challenged to take 24 hours with no TV and no non-work use of the Internet. This was definitely an interesting exercise and I came to a couple realizations throughout the day. Talk to my husband. I talk to my husband on a regular basis lol, but during our morning commute I'm usually only half-listening as I scroll Instagram. That morning I was able to fully focus on our conversation. Didn't talk to my husband. This may seem to contradict the above point, but usually during the day my husband and I communicate via Google Chat. We send each other silly pictures, talk about what we want for dinner, etc. On this day, I limited our communication during work hours to text messages that were absolutely necessary only. Sat quietly. I think most of us use Twitter, Instagram, Facebook, etc. as something to keep us occupied during time when we are waiting somewhere. While I waited that day, I just sat quietly to myself, which is interesting. Read things fully. We come across SO MUCH TEXT throughout our day, and usually I'm only half reading or skimming things. On this day I actually read through things fully. Created a LinkedIn account. I've known I needed to do this for a while. But I've been putting it off, and putting it off, saying I had no time. 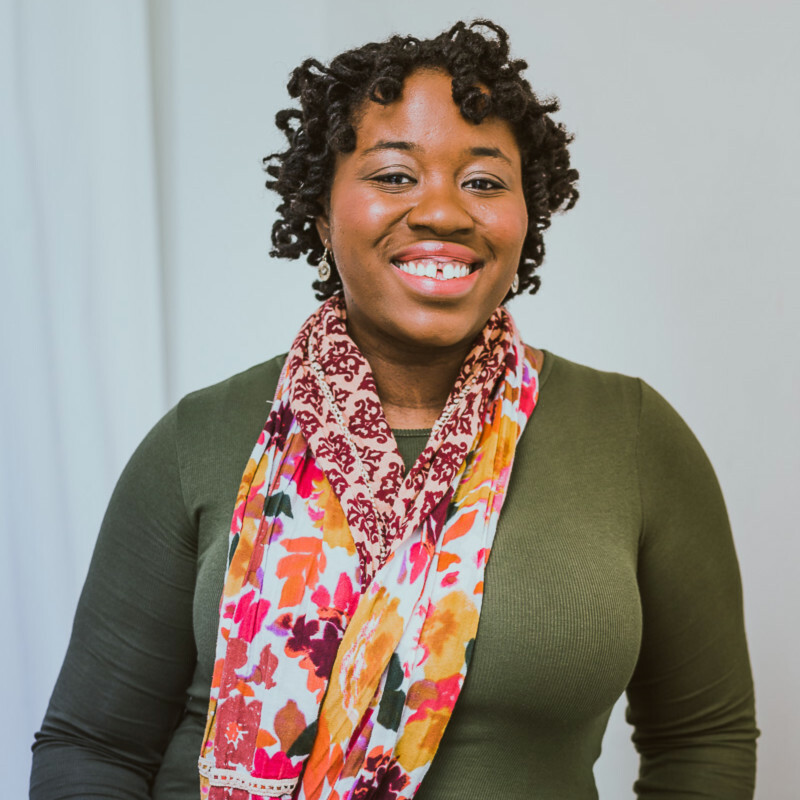 I considered creating my professional profile work related internet time, and went for it. Finished work with far away deadlines. Because I wasn't being distracted by social media or any non work related e-mails I completed some things that aren't due for weeks. Usually, I would have lollygagged and spent time reading my blog subscriptions instead of getting things completed early. Reveled in my own clever thoughts. I have to say, I had some great thoughts that would have fit into nice tweets. I can't remember any of them now lol. Got ready faster/left home earlier. Twitter and Instagram are usually my morning things. Without taking time to scroll my timelines I was ready to go faster and we actually left the house early for work. Got one thing done at a time. There weren't distractions pulling me in different ways since I was avoiding social media and causal e-mails. I usually end up with 50 tabs open in Chrome with all the things I'm trying to do at once. I was able to really hone in on getting one thing done at a time. Overall, I think I was very productive on my no TV no Internet day. Definitely more productive than I usually am. I realized the things I do to pass time are taking up time I could be using to get more done. I have a lot to do between my regular job, blog, acting, and side arts admin gigs, as well as taking care of home. Even if I just have an extra 20 minute window of time, it could be used productively and not looking through Facebook. I felt empowered by my use of time on that day. I'd like to have that level of productivity more often. Two things I'm changing since my casual media detox day are less multitasking, and checking in to social media but not sticking around unless I'm having completely free time. I'm going to work on doing one thing at a time, and finishing that before I look at anything else that can distract me from the task. Also, if I have a tweet, or someone sends me a link on Facebook, I'll engage with that specific thing, but I won't take the opportunity to generally browse around my timeliness unless it's evening relax time. What would you do with 24 hours of no TV and Internet? i could totally go 24 hours without tv/internet- easy! i read alot so that would take up most of my time. there are tons of things that i would do. actually this is a great post. i may try this next week. i'll keep you posted! Yes, let me know if you do it! I hardly watch tv, anyway. But if I didn't have Internet, I'd read and write more. And... talk... to people. Same. I don't really watch tv, but I love watching tv shows on the internet. I'm not even sure what I would do without internet. Reading seems like a good idea.... also just thinking and writing down thoughts might be something worth doing. "50 tabs open on Chrome"...LOL That's me too! It's hard to focus sometimes. Thanks for the connection on Linkedin!